Storz fittings, popular in Europe for decades, are now becoming popular in the United States. 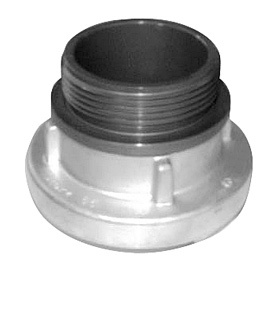 This adapter is storz on one side and solid male thread of choice on the other, Storz and thread sizes from 1 1/2" to 6". Made in aluminum.